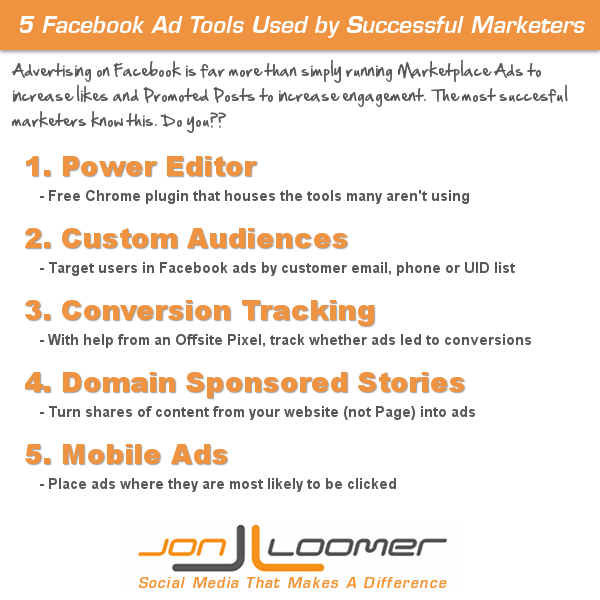 Successful marketers know Facebook advertising is more than marketplace ads for likes and Promoted Posts for engagement. Are you doing these 5 things? 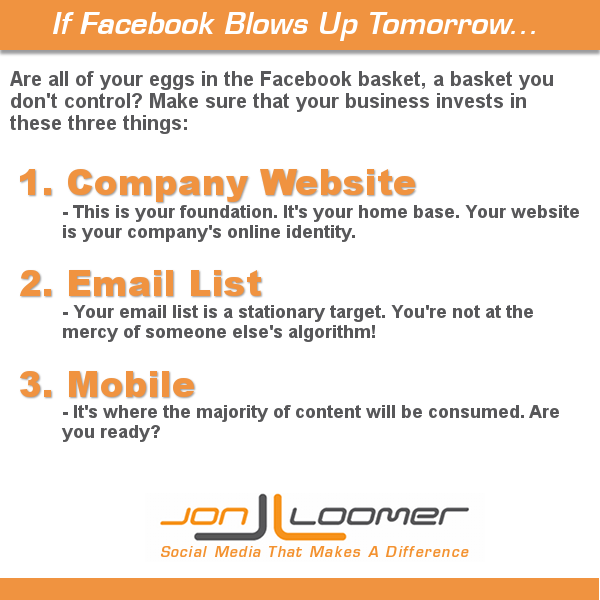 If Facebook blows up tomorrow, what will you have left? Don’t rely entirely on Facebook. Make sure that your business invests in these three things. 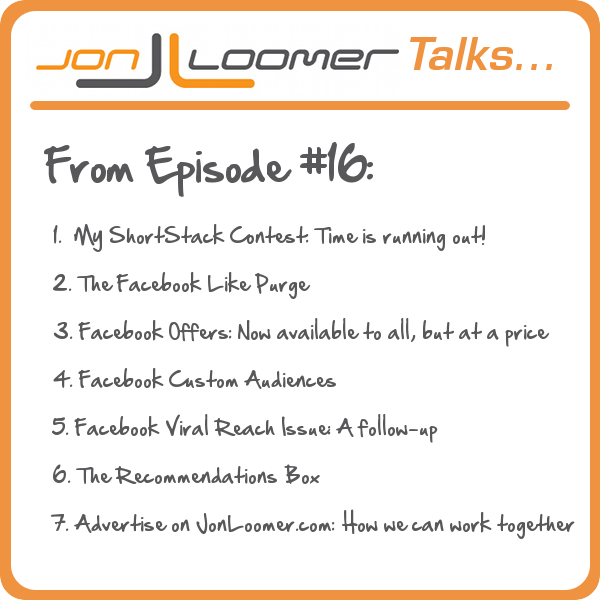 In this episode of Jon Loomer Talks, I discuss the recent Facebook fake profile purge and how it’ll affect you, the new rollout of Facebook Offers and more! 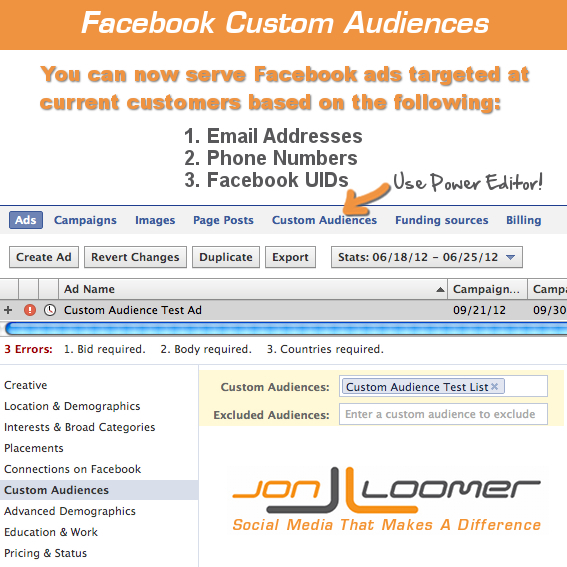 Advertisers can now serve Facebook ads to current customers based on email and phone number lists. Here’s how, complete with a video tutorial.